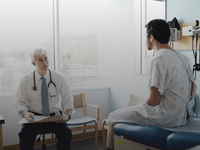 GetReminds is perfect for doctors offices, clinics, SPA, and any other by-appointment business. 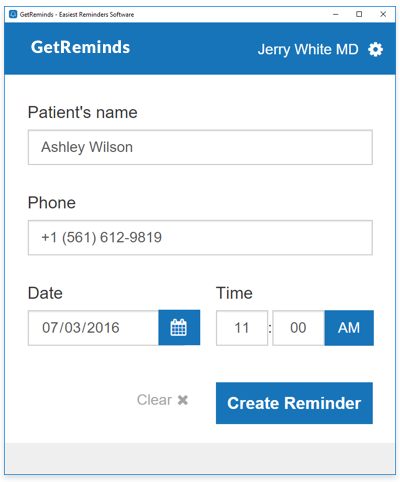 GetReminds is the Easy Appointment Reminders Software for Doctors and Clinics. We reduce no-shows by 70% compared to phone calls! We have successful cases where GetReminds generate $6500/mo extra revenue. 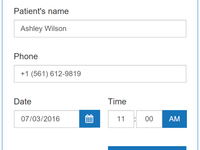 Comments: With GetReminds we successfully automated our appointment reminders. Our patients much prefer getting text notifications instead of phone calls. We literally managed to cut no shows twice for only $99. Without doubt, I would recommend this service to any doctor. Thank you Dr. Brown! We are happy to have you as a customer! Comments: I started a trial, and quickly realized that this software would not work for me. There is no way to cancel it, no way to contact anyone from the company, the phone number listed on the website is never picked up and no way to leave a message.